This conference on Energy Portfolio Optimization and Electricity Price forecasting was held in Düsseldorf, Germany on 5 and 6 April 2017. Over the course of these two days, 30 speakers shared their ideas and case studies on topics such as risk assessment, price forecasting, hedging strategies, asset evaluations and weather impacts. This was the third edition of the Energy Portfolio forum. The KYOS model AtRisk provided the basis for the presentation. The AtRisk model consists of two modules: Cashflow-at-Risk and Earnings-at-Risk. It provides companies information about potential future losses in their contract and asset portfolio. Both risk metrics rely on Monte Carlo simulations of future prices and calculate a distribution of outcomes. The AtRisk model includes both CfaR and EaR applications, and also provides recommendations about the optimal hedges to minimize the risk. The AtRisk model is fully integrated with both the KYOS KyStore and KyPlant model. KyStore is developed for traders and portfolio managers in natural gas markets. The gas storage optimization software raises revenues from gas storage trading operations, provides accurate valuations and reduces risk with adequate hedge recommendations. The model uses advanced stochastics including Least Squares Monte Carlo techniques to capture the full optionality in gas storage facilities. KyPlant supports traders and plant owners in power markets. 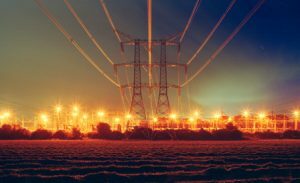 The power plant optimization software determines the value of power plants by quickly calculating the optimal dispatch. It also supports trading decisions and reports exposures. Furthermore, the real options-based model combines actual plant and contract characteristics with realistic price simulations. Use the model to value real physical power plants, but equally to put a price to virtual power plants, spark and dark spread options, and power options. For more information or a demo, please leave a message on the form below!